All big football fans have a large kit collection, most of them are from the same team, with the odd one from a more obscure side sprinkled here and there. We all think we have the largest and coolest collection, but I believe that there are two man out there with a more eclectic football kit collection than any of us could ever imagine. I present to you Snoop Dogg and Pope Francis. These two cats have more football kits put together than the Kitbag site. They are the ultimate modern football poster children. 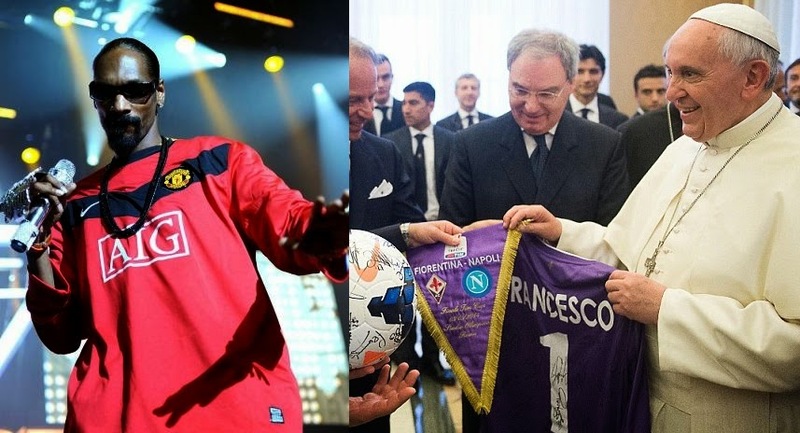 So the question begs to be asked, does the Pope have more football kits than Snoop Dogg? Let me shed some light on this earth shattering question. Snoop Dogg is a self-proclaimed lover of the beautiful game, every city he goes to, he will show up on stage with a football kit from the local side. I have seen him wearing Manchester United, Liverpool, Arsenal, Chelsea, PSG, Barcelona, and the list goes on. He doesn’t let his love for the games merchandise end there, oh no, he even goes out and buys the countries kits. Have you seen Snoop rock a Germany kit? I have, and I have also seen him in a Spain, Croatia and Chile kit. The man has even twitted himself in a Mexico kit. The kit I would expect him to wear and I haven’t seen him in, is a USA kit. Yo Deuce, give your boy a USA kit son, this cat needs one pronto. 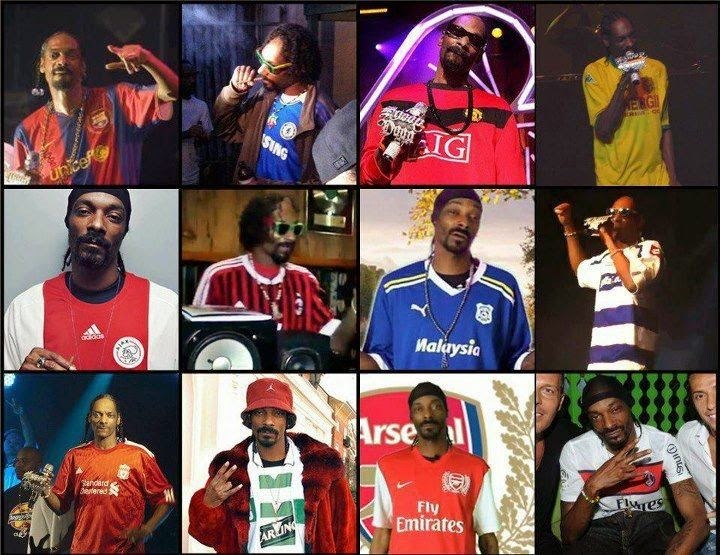 Snoop loves his football kits, I think that can be put to rest, but he has some serious competition when it comes to who owns more. Pope Francis is a huge football fan, being from Argentina he has an undoubted love for the game and those that play it. Since becoming the Pope, he has seen is closet space diminishing due to the growing number of kits he has been collecting. It seems that everyone that visits him in Rome comes with a football kit. In all honesty what do you give an Argentinian Pope that lives in Rome if not a football kit. The stereotype could not fit anyone any better than him. From Prime Ministers to current and former players, anybody that decides to visit Pope Francis in his humble abode comes with a beautiful football kit. Imagine his closet, he must need one wing of the Vatican just to store all the kits he has been collecting and will collect going forward. Snoop Dogg can’t even come close to that. The other difference between these two enigmatic figures is that Snoop Dogg loves to wear his kits, while the Pope seems to be more of a collector. 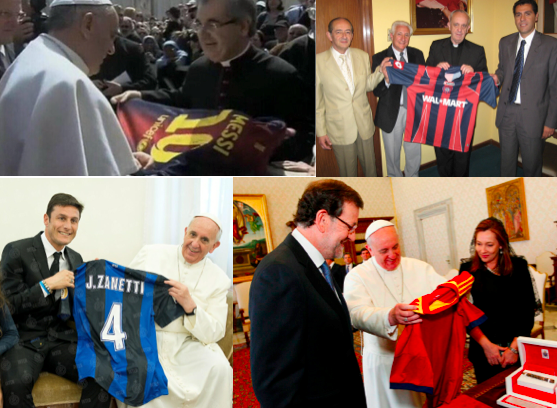 Nobody has ever seen or photographed the Pope in his signed Barcelona Messi kit, but we know he has one. Maybe he rocks it only during El Calsico matches, while sitting in his throne sipping on some wine, and enjoying the comforts of the Vatican. We will never know, but what we do know is that Pope Francis and Snoop Dogg have the largest collection of kits in the World, and that my friends is something nobody can take away from them.